The 25-year-old Bethel native finished 17th in the men's moguls at the 2018 PyeongChang Olympics. Troy Murphy, the Bethel native who competed in the PyeongChang Olympics in moguls skiing, has retired from the U.S. Ski Team. The 25-year-old Murphy finished 17th in the Olympics and was ranked 14th in the world following the 2017-18 World Cup season. He will pursue a business degree at the University of Utah and plans to continue freeskiing throughout North America as he and a small group of friends hope to produce small films on the sport. “It’s just the right time,” said Murphy in a phone interview from Park City, Utah. “I still love moguls skiing, I’m still invested in it and will continue to be close to it. His father, Matt Murphy, pointed out that Troy would have had to continue to raise funds nearly year round to cover living expenses while a member of the U.S. ski team. Murphy, a 2010 graduate of Bethel’s Gould Academy, said his results in the Olympics and on the World Cup circuit had nothing to do with his decision. 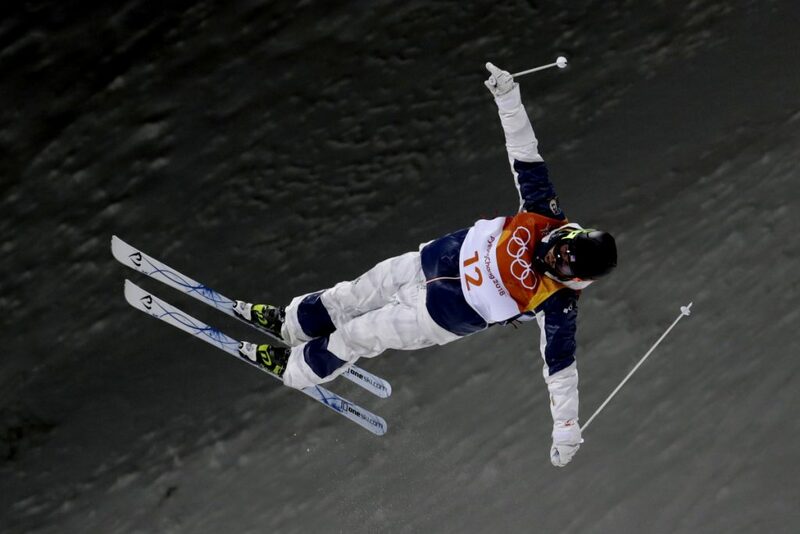 Murphy was fourth in the Olympics moguls after the qualifying round with a season-best score of 80.95 points. But he scored only a 72.72 in the first round of the finals. Murphy said he told his U.S. team coaches of his decision after the last World Cup event this winter. Officials with the U.S. ski team could not be reached on Tuesday. “This just seemed like a natural decision to me,” he said. “It wasn’t hard to do. I got so much out of moguls skiing, and I’m ready to apply that elsewhere. Murphy just missed qualifying for the Sochi Olympics in 2014 and was fueled by that to make the PyeongChang team, entering the year as the top-ranked U.S. moguls skier. But the lure of big mountain skiing has always been strong for Murphy. He would often spend weeks back country freeskiing in Canada and Alaska in the offseason. Now he wants to make it a bigger part of his life. He and a small crew plan on driving around North America to ski big mountains and film it. He’s hoping to pick up sponsors to pay for their expenses. The films, which will only be a few minutes long, will be posted on social media and websites. He noted many other skiers, or snowboarders such as Seth Wescott, make similar movies. “This is primarily how the industry works outside of competition,” he said. He’s not ruling out a return to competitive skiing but for now just wants to have fun with something he loves.